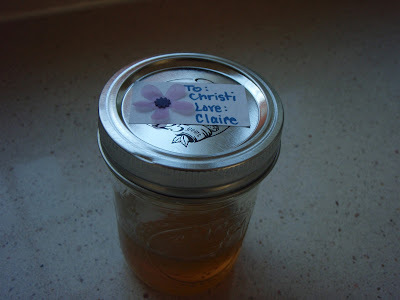 My sweet friend Katherine gave me this recipe one day while we were both shopping at Whole Foods. This is a very addictive salad. Don't believe me, try it. 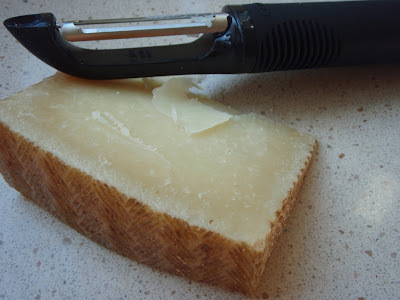 The combination of the peppery arugula, mildly pungent manchego cheese, and the sweet & crunchy caramelized pecans bring out the lovely tang of the golden balsamic. Don't substitute regular balsamic or white balsamic --not the same. A little of this dressing goes a long way so resist the urge to put all the dressing on the salad right away. 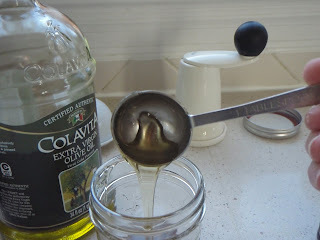 In a small bowl or measuring cup whisk (with a fork or small whisk) golden balsamic vinegar, olive oil, and honey. 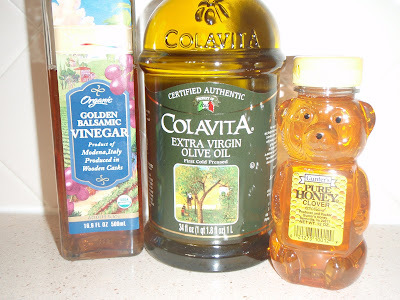 Whisk until honey is completely incorporated, homogenized with oil and vinegar. 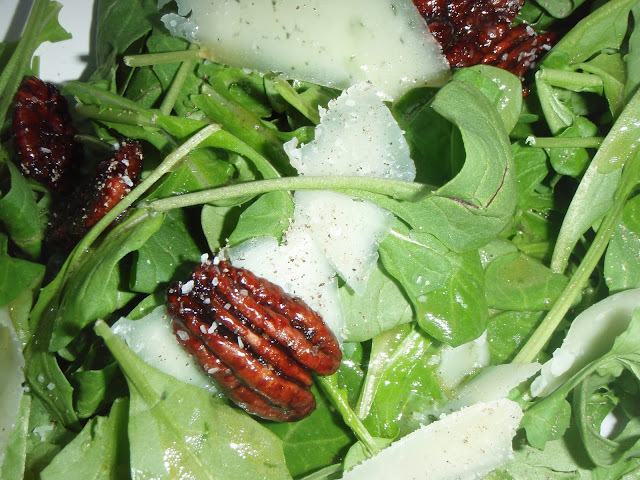 Put arugula in bowl, sprinkle pecans over arugula and then shave the cheese over the arugula and pecans. Add salt and pepper to taste (not too much) and then pour 3/4 of the dressing over salad. Mix, taste, and decide if you need more dressing! Yes, the pecans are expensive but you don't use a lot! 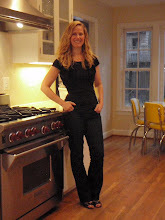 Your pictures are glorious - so inspiring! I went to Whole Foods this morning and have all the fixings for this salad. It looks delicious! I made this salad last night and it was incredible! Now I will make it every night to replace your other salad that I have made every night for a month! Oh, I love hearing this! Thanks, Susan! Happy Easter! 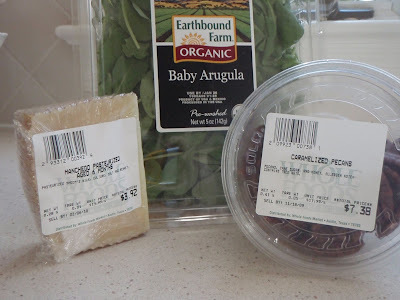 Making this salad for our Easter buffet with friends and thinking fondly of your lovely family. Hope your day is filled with love and laughter and yummy food! Happy Easter to you and your family, Bridget! You are so sweet to take time to comment!! !